Therefore in this week’s sermon I sought to answer a number of questions related to fasting and how Jesus’s words instruct all of us how to tune our fasting to seek the reward of knowing God. You can listen to this sermon online. Further resources about fasting can be found below, along with a few discussion questions. Do you currently practice fasting? Or, have you ever tried to fast before? Why? For what? How did it go? In your own words, how would you describe fasting? What is it for? What teaching have your received on fasting? Have you ever considered the difference between fasting in the Old Testament and the New? What is the difference? Is it helpful to consider the fact that all people fast (i.e., deprive themselves of some material comfort to pursue other greater comforts)? How so? How might broadening your understanding of fasting help you practice fasting more strategically? What does Jesus say about fasting? 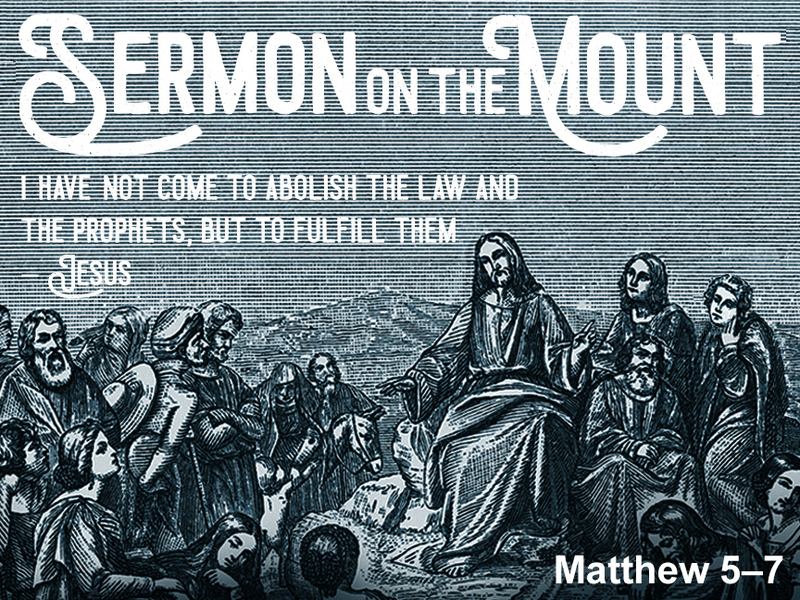 How do his words relate to the Sermon on the Mount? How do they apply to your life today? What are the benefits to fasting? Why is it so necessary that we fast? In what ways might you incorporate fasting? What other questions do you have about fasting? Drinking Deeply from Our Father in Heaven: Nine Observations about Giving, Praying, and Fasting (Matthew 6:1–18) – As we consider the spiritual discipline of fasting, we should remember to read Jesus’s words in the context of the whole Sermon on the Mount. Hopefully this article will help. Fasting by Randy Alcorn – A short guide on how to fast. Fasting: The Benefits of Giving God More of Who We Are – A conversation between Catherine Gates and Francis Umesiri M.D. A New Covenant Perspective on Fasting — The advent of Jesus Christ changed everything, including fasting. But how? This article tries to answer that question. A Hunger for God: Desiring God through Fasting and Prayer by John Piper — This has been the most helpful book I’ve read on fasting. It covers the personal practice of fasting and the corporate call to fast. And chiefly, it teaches that fasting from food is for feasting on God. Fasting for Life: Discover Lasting Health Benefits of This Spiritual Discipline by Francis E. Umesiri — I have not read this book, but based on the aforementioned interview with Dr. Umesiri, an outspoken Christian and assistant professor of chemistry at John Brown University, as well as the table contents, it looks like a faithful read. A “rule” is rhythm of life, ordered to cultivate habits of holiness. While “rules” are often associated with various monastic traditions, there are many others today who are seeing the need for such measured approaches to maintaining Christian priorities in the face of a chaotic world. Enter Justin Early, who has developed what he calls The Common Rule. In his words, “The Common Rule is a set of daily and weekly practices designed to form us in the love of God and neighbor.” Among these practices, there are both positive practices (things to do) and negative practices (things to resist). There are some that are private, others that are practiced in community. In total these practices include: working and praying, reading, eating, practicing presence, resting, friendship, beauty and justice, and fasting. You can find more about each of these practices at his website and in his coming book, and you can learn more about fasting here. I appreciate The Common Rule’s common sense approach. Surely, like all “rules” it could be turned into a slavish form of legalism. But approached rightly, for those who long to order their lives according to their heart-felt love for God, this may be a practical way to take concrete steps towards God and away from the chaos of this world.